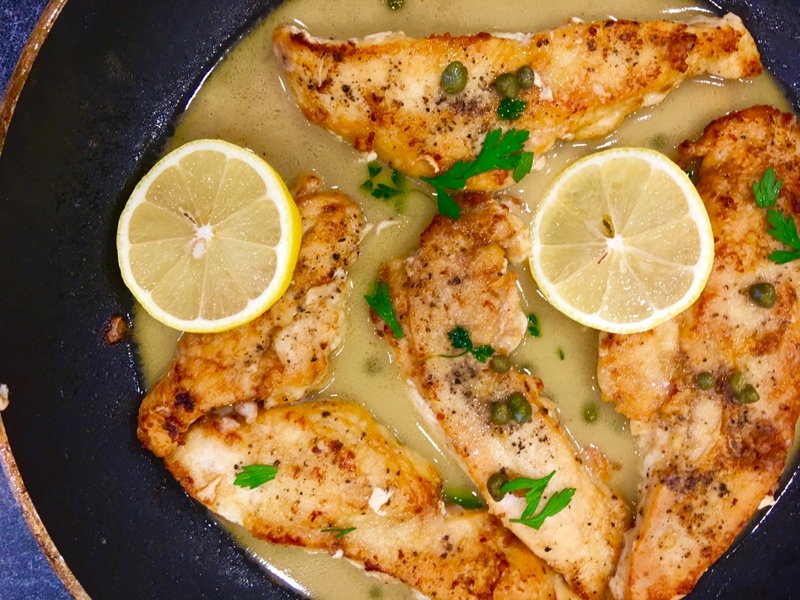 I served this Chicken Piccata with roasted potatoes and broccoli, and I drizzled a little of the lemony-butter sauce over those as well. In a large nonstick skillet over medium high heat, melt 2 tablespoons of butter with 1 tablespoon olive oil. When butter and oil start to sizzle, add the pieces of chicken and cook for 3 minutes. When chicken is browned, flip and cook other side for 3 minutes. Remove chicken from pan and transfer to plate. Into the same skillet, add the lemon juice, stock, capers, and wine. Return to stove and bring to boil. Add an additional tablespoon of butter, lower the heat to medium, and return the chicken to the pan to simmer for 5 minutes. Garnish with parsley and lemon slices (optional). 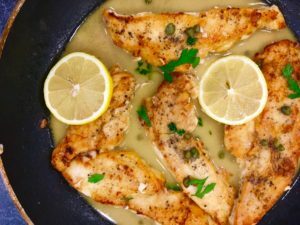 Copyright © 2017 Our Everyday Dinners - This is an easy recipe for how to make Chicken Piccatta.